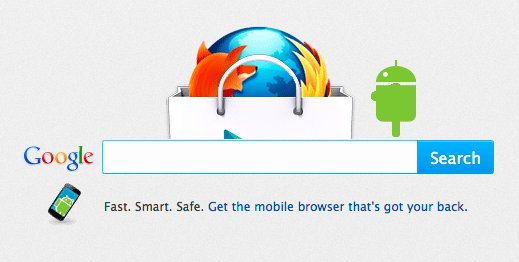 In Firefox, we offer various content in our about:home page – the start page for many Firefox users – to make people aware of new features and possibilities. 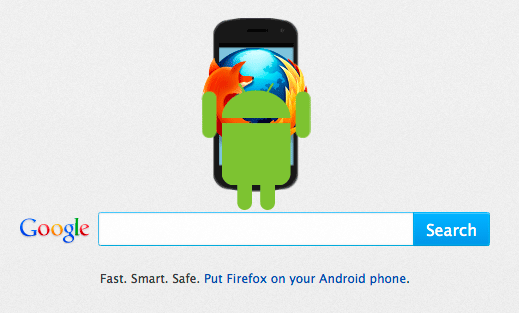 As you might have seen recently, we have some animations with the Android robot and Firefox, highlighting that Firefox is available on Android. For you developers out there, we’d like to talk more about how these animations were made. Make sure to interact with the Android robot by moving the mouse over him! Please note that these about:home snippets have been created specifically for in-product use in Firefox, and one vital factor there is to keep them as compact as possible. This means that there is, for instance, -moz specific CSS prefixes without fallbacks for other web browsers (since that has never been the target), because the goal was to make them optimal in a closed and controlled environment. Making them work in other web browsers is easily tended to, though, by adding necessary CSS prefixes. Since we have a number of demos, code testing and using APIs examples, we wanted to have a more unified approach both to how we share these with you, but also making it as easy as possible to fork, play and build on top of the code we share. Therefore, I’m happy to announce that we now have a dedicated GitHub repository for Mozilla Hacks demos and we’ll have blog post specific demos available! As part of that, these about:home snippets are on GitHub with some boiler plate code, where you can see them in action. Thanks for helping us with the animations again, it looks like you really had some fun with these. Can you walk us through the process on how these were made? Of course! Probably the best place to start is with the creation of the Android character in CSS. This was done as a separate piece and at a scale large enough so we could use it in a number of different animation scenarios, just adjusting it’s scale to whichever size worked best in a particular setup. To use as a reference we were given an image of the green Android character. This image was added to the html file as an overlay at a low opacity as we were building so we could make sure we were matching our css design as close as possible. Before we began, we had to consider the sort of movements the android would (or could) make during it’s animation, then adjust our layout accordingly. The easiest way to break this task down was to list out what could move on it’s own separate from the other parts of the android and then set up a container div for each that we knew we could apply the animation to:! Do you have any new coding tricks that you employed on this round? When running a long animation with many moving parts sometimes I find it helpful to set an animation duration a little longer than the entire length of the sequence on all the individual parts. The benefit of this is avoiding animation delays of varying lengths, and just working with percentages. So say the entire animation duration is ten seconds, then moving the android across the screen at two seconds within the sequence for a length of one second would mean moving the #android element starting at 20% and completing at 30%, then have the Android wave from 30% to 35%, etc. What were the biggest challenges with these animations? and how did you get around these challenges? In looking over the animation specifications another issue we discovered early on was trying to figure out how to best handle how to have the Android rotate to it’s side. The problem being we can’t curve elements back into Z space, so if we just rotated the Android on it’s Y axis (the Androids profile) we would just be looking at a flat 2d rendering which would all together disappear when rotated 90 degrees towards us. The solution turned out to be a little complex. Since the body was supposed to be cylindrical we didn’t have to worry about how that would animate since it’s profile would look the same wether from the front or the side. For the rest of the body (antennas, arms, and legs) we moved those elements into a separate container from the body that would be able to move on the Y axis. When this containing element was rotated, we had to do a counter rotation on all the items within tricking the eye into believing these elements had depth in each direction. To handle the eyes, during the rotation they are animated to the side within a container that has it’s overflow set to hidden. 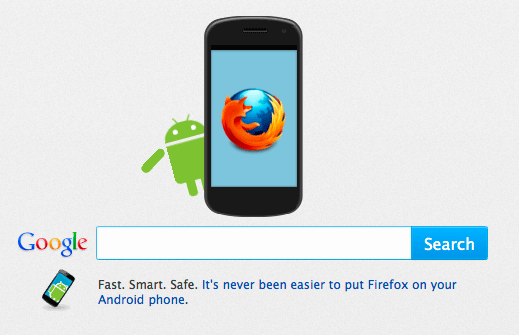 Once the heavy lifting of setting up the Android was complete, the rest was relatively easy. How do you see animation progressing as more and more developers pick up these techniques? The real interesting thing is going to the blurring of the line between WebGL and CSS. It is far more commonplace to build WebApps that have a native app feel through the use of transitions and views that typical web experiences didn’t have a couple years ago. Great, Thanks again for such great work. One vote for “Play” ! Yes, it’s a nice one! Thanks, searching for that robo and related animation. As I found these are not images- these are Div which are animated using HTML5 “wow” also sent mail to mozilla community for the same. Thanks for uploading it here and explaining it in detail. I was unable to position arms and legs now got whole stuff right and added more animations.